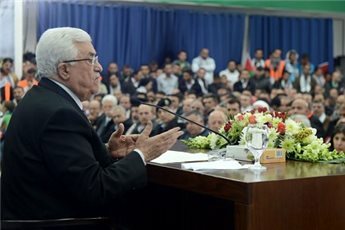 Palestinian Authority president Mahmoud Abbas told a delegation on Saturday that without East Jerusalem as the capital of the future Palestinian state, there will be "no peace between us and Israel." MP Jamal Al-Khudari has advised the Palestinian Authority in Ramallah to withdraw from the American-sponsored negotiations with Israel. Khudari, the head of the popular anti-siege committee, said in a press release on Saturday that the PA should instead ask the UN Security Council to pass a binding decision against Israel to stop its settlement activity and aggression on the Palestinian people. The independent MP said that Israel is not a partner for peace and does not own any peace project that would restore rights to the Palestinians. “Israel is only interested in usurping land and destroying any possibility for the establishment of a Palestinian state with Jerusalem as its capital,” he elaborated. Khudari said that Israel’s latest announcement for the construction of 1,400 new settlement units in the West Bank was publicly declaring it was not interested in negotiations. He charged that Israel was creating new facts on the ground that would be difficult to change in future. The MP said that the Palestinian division coupled with the Arab and regional developments and the US unlimited support was encouraging Israel to increase its settlement activity and aggression in light of such unbalanced situation. Israel's pressure on Palestinians to recognize it as a Jewish state is an attempt to legalize "racism," a PLO official said Saturday. PLO Executive Committee Member Hanan Ashrawi said defining Israel as a Jewish state would signify that any Jewish person would have the right to return to Palestine, while Palestinians would lose that right. Ashrawi told Ma'an that Israel wants to "create a narrative that denies the Palestinian presence, rights, and continuity on the historic Palestinian lands." A "Jewish state" recognition would exempt Israel from its responsibility toward the Palestinian refugees who were forcibly displaced from their homes in 1948, she said. Similarly, a former Palestinian member of the Israeli Knesset said that recognizing Israel as such a state would "annul the Palestinian narrative about the Nakba." It would abolish the right of the refugees to return, said Talab al-Sani. During US-mediated peace talks with the Palestinians, Prime Minister Benjamin Netanyahu has repeatedly cited recognition of Israel as a Jewish state as a precondition for peace. It is the "minimal requirement for peace," Netanyahu told the Saban Forum on Middle East policy in Washington on Dec. 8. There would be peace, Netanyahu said, if "there were no longer any Palestinian national claims on the Jewish state -- no right of return ... no residual claims of any kind. 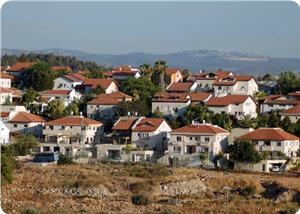 And that, the Palestinians have so far been unwilling to give." Palestinian officials have repeatedly said that recognizing the concept of Israel as a "Jewish state" is unnecessary and threatens the rights of nearly 1.3 million Palestinian citizens of Israel who remained in their homes during the displacement of the majority of the Palestinian population during the 1948 war. Islamic Jihad Movement in Palestine denounced U.S. Secretary of State John Kerry's plan submitted during the current round of Israeli-Palestinian negotiations, saying that it aims to liquidate Palestinian rights particularly Jerusalem and Palestinian refugees' right of return. In a rally organized in protest against Kerry's plan, Mohammed al-Hindi, a member of Jihad Movement's political bureau, confirmed that Kerry's plan "came to liquidate the Palestinian rights and constants." He stressed that there are many available alternatives to negotiations which need a real political will, calling on the Palestinian people to stand firmly against Kerry's plan. The leader in Jihad Movement warned of Arab pressures exercised on the Palestinian Authority to accept Kerry's plan, stressing the need to achieve national unity. Dozens of nonviolent Palestinian activists managed to stop a meeting that was taking place at the Ambassador Hostel in occupied Jerusalem, between Palestinian and Israeli officials, and said “normalization with the occupation weakens the Palestinian cause, and beautifies the ugly face of the Israeli occupation”. The Wattan News Agency has reported that a similar meeting initially took place in the central West Bank city of Ramallah, and was guarded by the Palestinian security forces in the city. Wattan added that the meeting in Jerusalem, which came after the Ramallah meeting, even included former senior officers of the Israeli army that still occupies Palestine and oppresses its people. 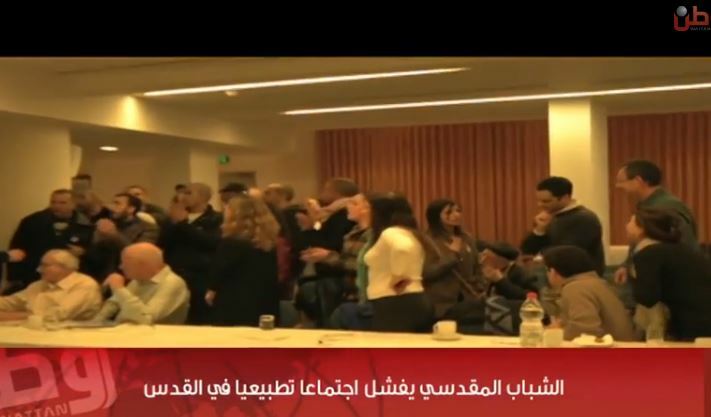 The Palestinian activists entered the hall where the meeting was taking place, just minutes after it began, and chanted slogans such as “occupiers go out”, “Palestine will be free”, and managed to break up the meeting. “International activists and groups have been successful in many boycott, divestment and sanctions campaigns, managed to mount international pressure on the occupation”, Obeidat said. “This meeting comes to reduce this pressure on Israel, to beautify its crimes and violations against the Palestinian people”. He further stated that such meetings come for the benefit of individuals who want to make private investments and profit at the expense of the Palestinian people, their blood and sacrifices. Activist Amal Al-Obeidy from Jerusalem said that the Israelis in this meeting are former army officials and former Shabak interrogators. Activist Yassin Sbeih said that this activity, disrupting this meeting, is a message from the Palestinians in Jerusalem, rejecting normalization, rejecting all conferences that are only meant to grant legitimacy to an illegitimate occupation. Foreign Minister Avigdor Lieberman said Arabs with Israeli citizenship need to decide to whom they are loyal – to Israel or to the Palestinians. Despite his remarks, the foreign minister's stance on a peace deal has become more moderate recently than in previous years, either as a result of a drastic inner change or just because it was an interview with the foreign press. 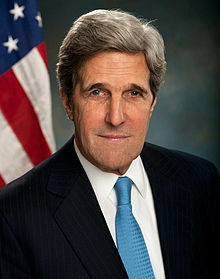 “It’s the best proposal we can get and we really appreciate the efforts of US Secretary of State John Kerry. He has really put a lot of energy into the issue," he said. At the beginning of the week, Lieberman said at a diplomats' meeting in his office that his party won't agree to a deal with the Palestinians without a land transfer. "We're not talking about a transfer like in the case of Gush Katif. We're not expelling anyone from his house and we're not evicting anyone, we're just moving the border," he said. 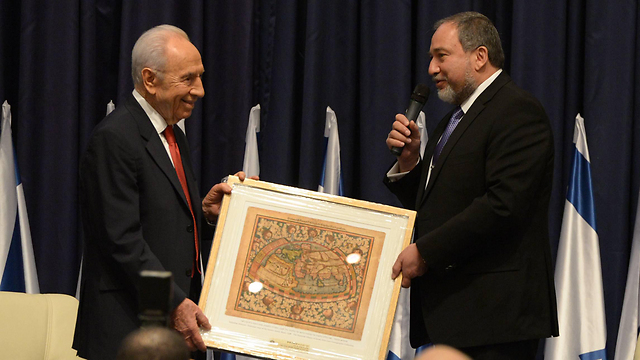 Lieberman was referring to the Wadi Ara region, saying that there's no reason why the Arab-dominated area won't join their Palestinian brethren in a Palestinian state, which they so much desire. He also said he wouldn't agree to the right of return for Palestinians. The foreign minister did admit, however, that even if with two separate states there would still need to be an understanding between the two peoples. “With or without a comprehensive solution we will continue to live together and continue to be neighbors. There are many problems on the ground, so this direct contact, this negotiation, these talks – it’s very important to keep them alive and maintain tem,” he said. The Telegraph reporter, Alex Spillius, noted in his article that Lieberman is indeed a changed man since he was acquitted from all charges in the foreign ambassador affair last November. "Absent, for now, is the firebrand politician who said that Gaza should be treated like Chechnya and who called for the execution of Israeli Arab MKs who had met members of Hamas, the paramilitary group that runs one of the two Palestinian territories," Spillius wrote. Lieberman also had a change of opinion on Palestinian President Mahmoud Abbas. His trust, however, in the Palestinian leader, is still up for grabs. There is still a question mark over whether or not Abbas "can deliver the goods" in the peace talks. Despite sketchy reports about peace talks currently underway between Israel and Palestinians, one thing is clear: The Palestinians are not willing to recognize Israel as a Jewish state. But why? According to both Israeli and Palestinian press reports, US Secretary of State spent a good chunk of his recent visit to Jordan and Saudi Arabia encouraging their leaders to push Palestinian president Mahmoud Abbas to agree to accept Israel as a Jewish state. By doing this, Kerry reportedly said, he will be able to pressure Israel to make other concessions such as agreeing that the pre-1967 lines will be the basis for negotiations. That would fulfill a key Palestinian demand that Israel agree to discuss all areas it acquired in 1967, including the West Bank, Gaza Strip and east Jerusalem. Israeli officials will not comment on any aspect of the negotiations, having gotten clear instructions from Prime Minister Benjamin Netanyahu not to do so. Yet they say that the need for accepting Israel as a Jewish state is obvious. Israel describes itself as both a Jewish and a democratic state. “Ultimately the Palestinians have never publicly said they’re willing to accept a Jewish state in any borders and without such acceptance you don’t really have an end of conflict,” Israeli government spokesman Mark Regev told The Media Line. “If the goal is peace – real peace – that is absolutely necessary. If Israel is willing to accept that the Palestinian people have a right to a nation state of their own, then surely we are entitled to hear from the Palestinians that the Jewish people too are entitled to a nation state of their own.” Palestinian officials say they officially recognized Israel in 1988, and see no need to do it again. They also say that recognizing Israel as a Jewish state would prejudice one of their key demands. In 1948, some 700,000 Palestinians both fled and were forced to leave the area that became Israel. Today they number more than four million people, and a key Palestinian demand has always been that they either be allowed to return to their former homes or receive compensation. If they recognize Israel as a Jewish state they say they feel they are giving up that right. In addition, they say that Israel should be a state of all its citizens, not just for Jews. Some 20 percent of Israel’s citizens are Arab. “It would be like saying that Palestinians are not citizens,” Jihad Harb, a Palestinian writer told The Media Line. “Besides, it’s not anyone’s business to recognize a state’s formula. Libya calls itself the great kingdom of Libya, and Israel can call itself an empire or kingdom or whatever it wants.” But Israeli officials say it’s important to them that the Palestinians actually say the words, and mean them. 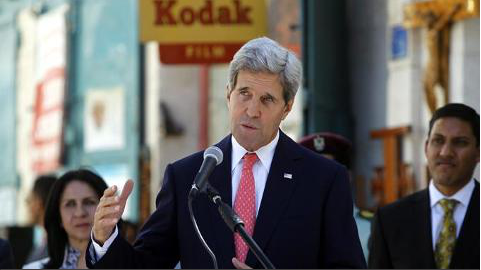 The press reports said that Kerry left the region optimistic after his tenth trip here. He is working on a framework agreement that he is most likely to present at the end of the month. If he does agree to persuade the Palestinians to accept the idea of Israel as a Jewish state, that could spark new movement in the peace talks. Member of Hamas's political bureau Dr. Mousa Abu Marzouk emphasized the Palestinians' rejection of talks resumption and the Framework Agreement proposed by the U.S. Secretary of State John Kerry. 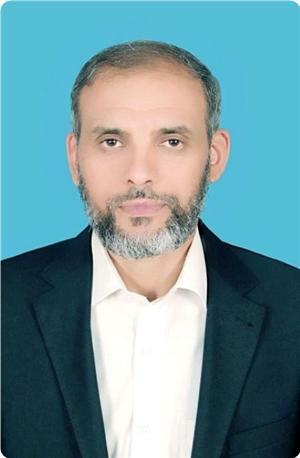 Abu Marzouk said in a statement on Thursday on his Facebook page that in addition to political pressures, Washington is using the American aid to the Palestinian budget to exert pressure on the Palestinian side to ensure success of its plan. He said that Kerry has become convinced that no final agreement could be achieved now, thus he proposed the "Framework Agreement". The Hamas official pointed out that one of the biggest problems facing Kerry's initiative is the Palestinian refugee issue. He warned of the seriousness of the Framework Agreement that recognizes Israel as a “Jewish state” and adopts the Israeli position towards Jerusalem, refugees and border issues. Regarding the land swap principal, Abu Marzouk stressed the rejection of Palestinians in 48 Palestine to the exchange of land, pointing out that they are the real owners of the land. Israeli right-wing economy minister Naftali Bennett on Tuesday declared his refusal of any peace agreement based on the 1967 borders and giving any part of occupied Jerusalem to the Palestinians. "Friends, the games are over. We will not play with words anymore. The 1967 borders means splitting Jerusalem, giving up the Mount of Olives, where Menachem Begin, Rabbi Kook, and Eliezer Ben-Yehuda are buried, and giving up the kotel (western wall), the temple mount and the Old City," Bennett said, addressing a conference held at the institute for national security studies. 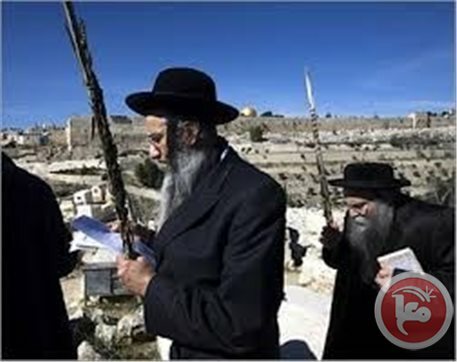 For its part, the Aqsa foundation for endowment and heritage strongly denounced Bennett's remarks and said that his words reflected clearly the policy of the Zionist establishment and its desire to tighten its grip on all parts of Jerusalem, including the Aqsa Mosque. 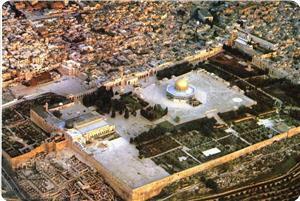 The Aqsa foundation stressed in a press release that Jerusalem would always remain an Islamic, Arab and Palestinian city despite all Judaization activities, and appealed to the Arab and Muslim worlds to shoulder their responsibilities and hasten to save the holy city and the Aqsa Mosque. 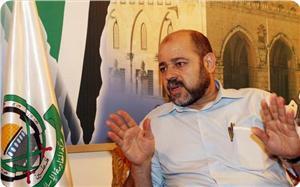 Hossam Badran, spokesman for Hamas Movement, confirmed that the current round of talks between Israeli and Palestinian authorities has no legal basis nor popular support, stressing that the Palestinian people will never accept a second Oslo Accord. In an exclusive interview with Quds Press on Wednesday, Badran pointed out that the Palestinian negotiating team itself admitted the failure of negotiation option, while the Israeli position towards central issues has not changed but rather is getting more extreme in light of the US biased policy. US Secretary of State John Kerry's suggestions concerning core issues including Jerusalem and right of return do not live up to the aspirations of Palestinian people who are not committed to any agreement that might result from the ongoing negotiations, he said. Hamas's spokesman renewed his movement's rejection to land and population swap that came in total contradiction to the Palestinian constants especially the right of return, stressing that the Palestinian people will never accept another Oslo Accord. The fast-approaching deadline to the 9-month face-to-face Palestinian-Israeli talks highlights the sense of urgency and fear that the April deadline might arrive without any breakthrough. Palestinians, who were burned in 1993 with a five-year interim agreement that translated into two decades of no progress in the talks, are opposed to any kind of interim agreement. Chief Palestinian negotiator Saeb Erekat was blunt about it on January 4, after a long-winded meeting with US Secretary of State John Kerry and Palestinian President Mahmoud Abbas: "What Secretary Kerry is doing — and let me repeat it in front of him — is not an interim agreement. It's not a transitional period that's beyond us. We're working hard to achieve an agreement on all core issues." The framework agreement might not be an interim deal, but neither is it a peace agreement, meaning that at best, the framework will be a target, rather than an obligation. Some suggest that it will not be a signed agreement and that its main purpose is to prepare the public on both sides for the eventuality of peace. One would expect the framework agreement to answer some simple questions that have remained a mystery. Will the land between the Jordan River and the Mediterranean be the home of two independent states or not? 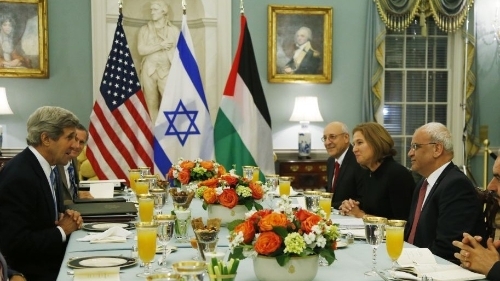 The obvious issue here is the Palestinian state and its level of independence. Israel's prime minister has long conditioned his willingness to accommodate a Palestinian state on it being demilitarised, which would mean a clear concession when it comes to independence. Israel is now adding a new condition, namely that its troops stay in the Jordan Valley and control the Palestinian state's border crossings. The Israeli insistence on presence in the Jordan Valley has received further attention when the Likud voted in the Knesset to recommend that the valley, which represents over one-fourth of the territory of the West Bank, be annexed to Israel. The Likud decision produced a tough reaction from Jordan, one of two Arab states that signed a peace agreement with Israel. It is unclear if the issue of annexation will get any traction, but Jordan was in full agreement with the Palestinian insistence that no Israeli soldier should be stationed on the eastern border of the Palestinian state. Another question is whether Palestinians will have sovereignty over air, underground water, and potential oil and gas resources. If these questions are not answered in the framework agreement, not much meaning will be left for the word independent or sovereign. Another area of contention are the borders between the two states. The Israeli prime minister already said this week that Hebron and Beit Il (near Ramallah) will not be part of the Palestinian state. If the issue of the borders and sovereignty is resolved (and that is a huge if), the status of settlers/settlements in Palestine is unclear. The Palestinian refugees have to have the right to return and receive compensation. In previous talks, Palestinians and Israelis agreed to allow some refugees to return to Israel proper over a long period of time, within the process of family reunifications. This leaves the toughest nut to crack till the end. Previous peace efforts, most notably Bill Clinton's Camp David efforts in 1999, failed mainly because it could not resolve the fate of East Jerusalem. The issue of Jerusalem has become much more complicated than in the past because of the rise of a much wider rightwing Israeli body demanding to have the right to pray in Al Aqsa Mosque compound, which Jews call Temple Mount. The unregulated and provocative incursions into the mosque area from the Mogharbeh Gate, which Israel controls exclusively, has increased tension and will make any agreement on Jerusalem that much more difficult now. Kerry has surprised many observers with his tenacity and insistence on producing a peace agreement in this intractable conflict. The framework idea could move the process forward as long as it is not allowed to become yet another interim agreement. An Israeli official said that U.S. Secretary of State John Kerry urged King Abdullah, of Jordan, and King Abdullah bin Abdul-Aziz, of Saudi Arabia, to talk the Palestinian leadership into recognizing Israel as a Jewish State. Kerry was relaying a message from Israel to the Arab leaders, as Tel Aviv insists that the Palestinians recognize the country, built on their homeland in 1948, as a Jewish State, the Arabs48 news website has reported. The Israeli official did not comment on the response of Jordan and Saudi Arabia to this demand. 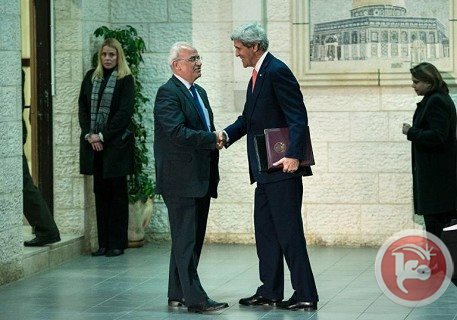 According to Israel’s daily, Haaretz, Kerry asked the two kings to help him in achieving an official Palestinian recognition of Israel as a Jewish State, and to assist Palestinian President Mahmoud Abbas in this recognition or at least refraining from trying to “topple the Israeli demand”. Talking to Haaretz, the Israeli official said Kerry is hoping to find a positive “attitude” towards the issue during his upcoming meeting with Arab Foreign Ministers in Paris. The official added that Kerry adopted the Israeli demand, and is working on making sure this demand is part of a framework peace agreement, and added that without this recognition, “he will be unable to talk Tel Aviv into making concessions during talks on establishing a Palestinian state." U.S. Ambassador to Tel Aviv, Dan Shapiro, told the Israeli radio that Kerry is hoping to achieve a framework agreement within a few weeks. Meanwhile, Israeli Defense Minister Moshe Ya’alon, said that the main focus of Kerry right now is to extend the time frame of direct talks, and added that Tel Aviv wants a continuation of extended talks. On his part, Israeli Economy Minister, head of the Jewish Home Party Naftali Bennet threatened to withdraw from the coalition government of Benjamin Netanyahu should Israel hold talks with the Palestinians regarding a withdrawal to the 1967 border. No framework agreement, laid down principles for solving Palestinian refugees issue, shall be signed with out the Hashemite Kingdom seal of approval, Prime Minister of Jordan Abdullah Ensour said. " 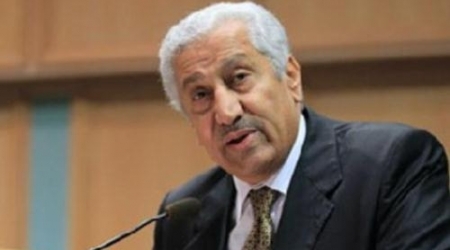 Every Palestinian refugee has been in Jordan since 1946 and 1949 has the right of return and compensation ," Ensour announced the official position of Jordan. 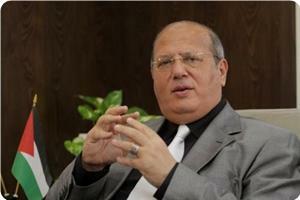 He explained that it does not include Palestinians who have Jordanian citizenship . He explained in a meeting with the Speaker of House of Representatives AtefTarawneh, Minister of Interior Hussein al-Majali, Minister of Political Development , KhaledAlclaldh, and members of al-Watan parliament block that US secretary of State John Kerry carries out a serious round of shuttle diplomacy in the Middle East . Ensour stressed that the US is committed to discuss the core principles -borders , security, refugees, Jerusalem- in the final status agreement.. He pointed out that King Abdullah II informed the US administration that Jordan must be involved in any agreement since it is bound to be the one paying the price of the Israeli and American positions. 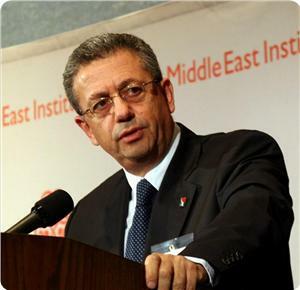 Dr. Mustafa Barghouthi, Secretary General of the Palestinian National Initiative (PNI), renewed his rejection to talks resumption and "Framework Agreement", considering it a new Oslo Accord that seeks to prolong the Israeli occupation. He warned of the seriousness of the Framework Agreement that recognizes Israel as a “Jewish state” and adopts the Israeli position towards Jerusalem, refugees, security and border issues. In his statement issued on Tuesday, Dr. Barghouthi stated that the occupation works to thwart all international efforts, calling for exposing the Israeli apartheid regime and extremist government's settlement schemes. The Israeli decision to establish 272 new housing units in West Bank reveals the real image of the Israeli government that uses negotiation to cover up its settlement expansion, he said. He called for escalating popular resistance and activating boycott in order to confront the Israeli government that, in fact, represents the settlers' government. Barghouthi pointed to Netanyahu's tactics of deception that seeks to gain time to impose a fait accompli. For its part, the Islamic Movement in 48 Palestine renewed its rejection to the exchange of land, considering it a new Palestinian Nakba (catastrophe). It said that US secretary of state John Kerry seeks to reach a framework agreement between Israeli and Palestinian authorities that enforces land swap and that is based on ethnic cleansing. The Islamic movement described the land swap proposal as a new Nakba to the Palestinian people in Negev, Galilee and the coastal cities. 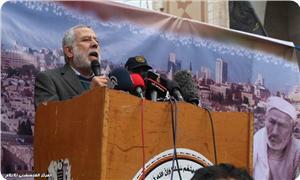 The movement stressed the rejection of Palestinian people in 48 Palestine to land swap principal. Israeli Justice Minister Tzipi Livni made harsh criticism for Israeli Economy Minister Naftali Bennett on Tuesday evening, after the latter gave a speech in which he rejected a peace agreement based on the pre-1967 lines. 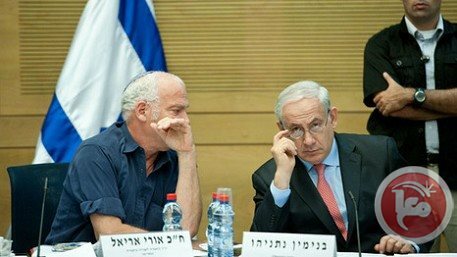 According to Israeli media outlets, Livni have criticized Bennett and other ministers including Miri Regev regarding her recent announcement to propose a bill in the Knesset that would forbid Israeli government from negotiating with the Palestinians about Jerusalem and the Palestinian refugees. 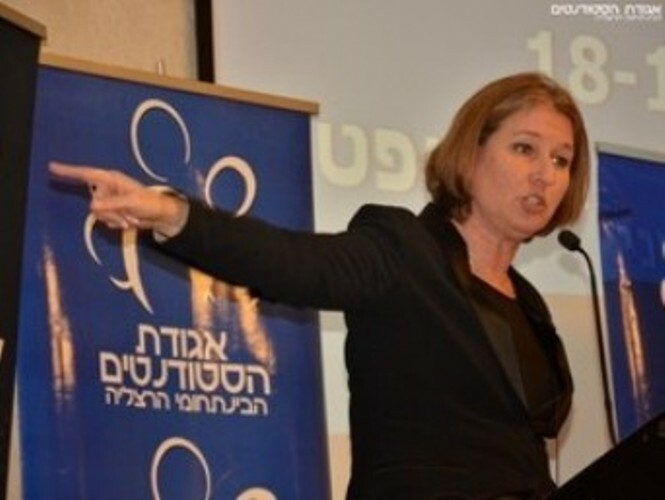 Livni accused “radicals” of sabotaging the peace process. She also called on Bennett not to preach to her about Jewish right to the land of Israel. 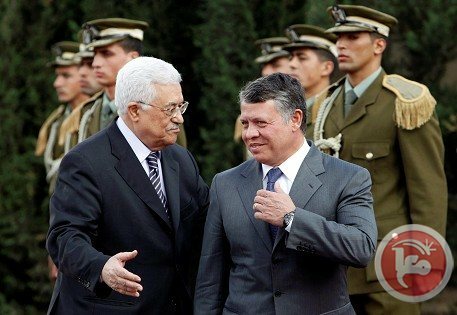 President Mahmoud Abbas is scheduled to meet with Jordan's King Abdullah in Amman on Wednesday to discuss the latest developments in peace talks between Israel and the Palestinians. President Mahmoud Abbas will meet today, with the Jordanian King Abdullah II to discuss the latest developments of the Israeli-Palestinian negotiations. Palestinian ambassador to Jordan, Atallah Khairi, said that the meeting is held to discuss what the US Secretary of State John Kerry proposed to the Jordanian King, stressing that Jordan will be part of the negotiations.